Bartow, Fl. 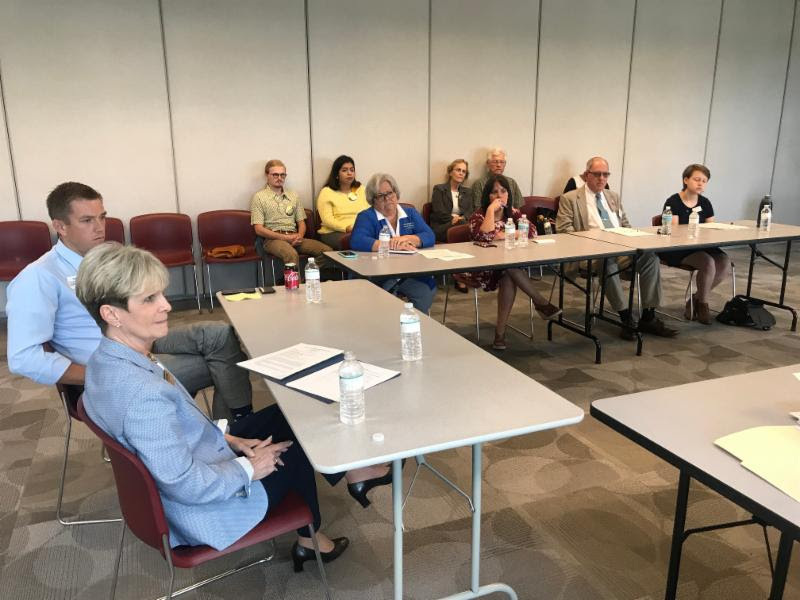 — In Polk County Friday, Democratic candidates and health care experts held a round table to discuss the issues caused by Republican efforts to dismantle the Affordable Care Act, and the decision not to expand Medicaid. 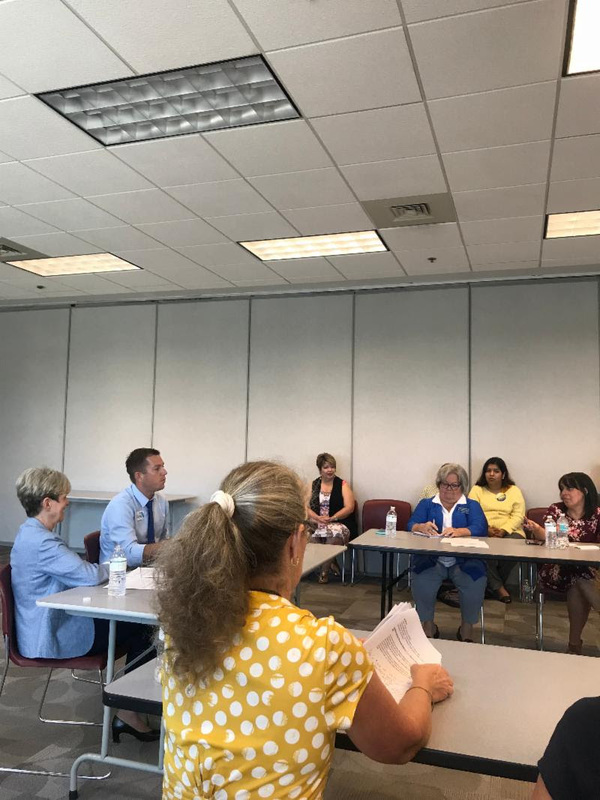 Polk County is currently facing a doctor shortage, high uninsured rates, and a 20% premium hikes, and Republican's continue to fight to repeal the ACA. 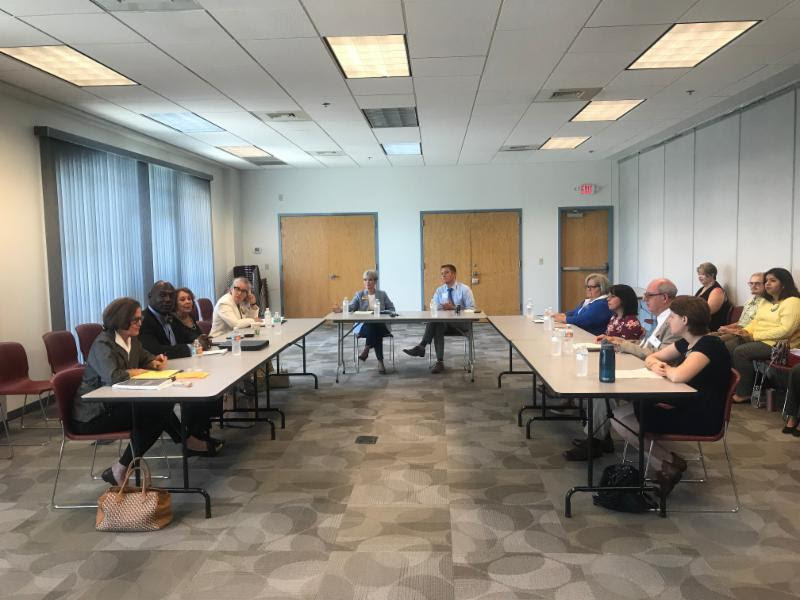 The presentation of Democratic solutions to healthcare issues facing rural communities like Bartow, is a part of the Florida Democratic Party's rural tour. 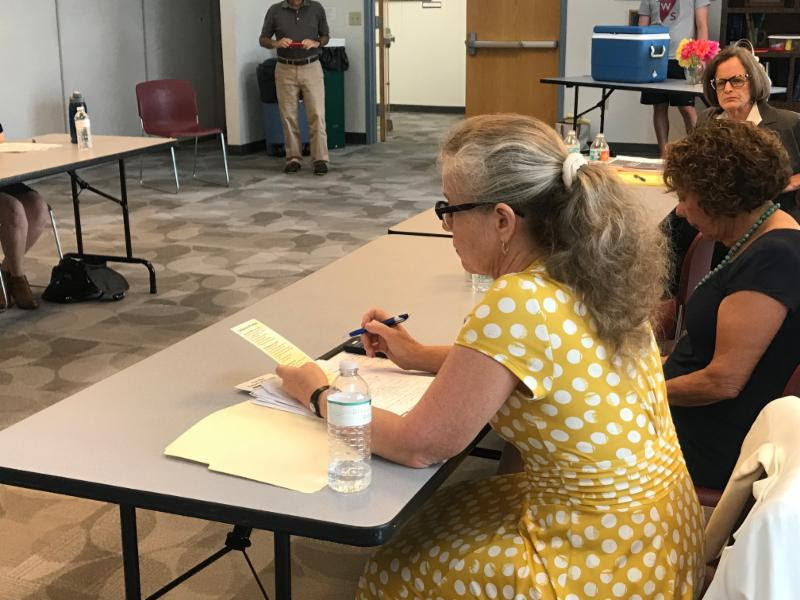 Candidates who participated included: Kristen Carlson, CD-15; Andrew Learned, CD-15; Bill Pollard, CD-17; Catherine Price, Senate District 26; Dr. Shandale Terrell, HD 40 Candidate; Karen Welzel, Polk County Commission. Polk County resident Jane Bell, who participated in the roundtable spoke up at the event. "My life depends on electing Democratic candidates, because I can't afford to lose my health care because of the pre-existing, life threatening condition that I was born with. We know that by electing Republican candidates, from Adam Putnam to Ron DeSantis, to Rick Scott, they all support a full repeal of the ACA, which puts my life at risk." Candidates made a commitment to protecting healthcare for the nearly 7 million Floridians with pre-existing conditions, to expanding Medicaid, increasing access for people with mental health issues and making prescription drugs more affordable for all Floridians. "Access, quality and affordability, that's what we need to be focusing on improving in our healthcare system," said healthcare expert Cyndy Nyer, "And we know that we do that by expanding Medicaid, and protecting coverage for people with pre-existing conditions, and driving up competition in the federal exchange, which would lower our premiums. Democrats have shown a commitment to doing this, while Republicans are fighting to repeal the ACA." A recent study showed that Florida's insurance rate is one of the worst in nation, with 53% of Floridian Adults with out healthcare. They found one of the main reasons that the uninsured rate was so high was because of the decision not to expand Medicaid. 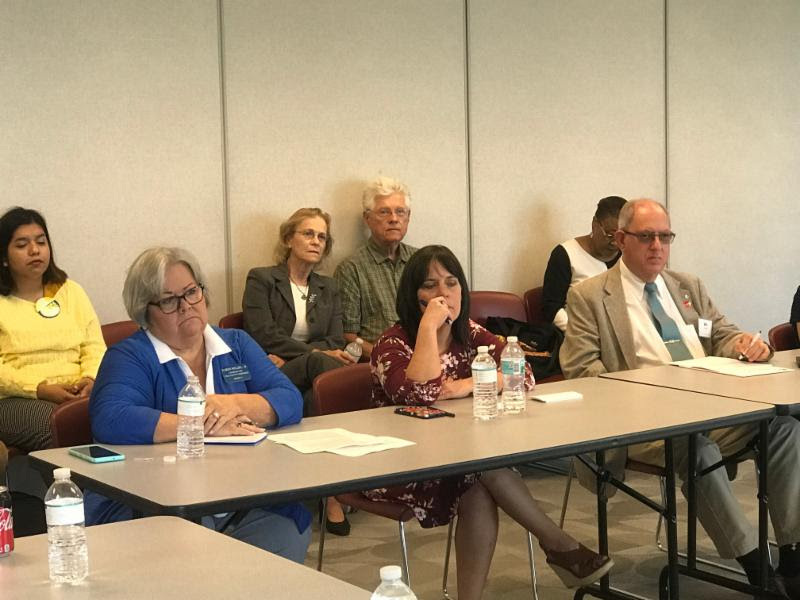 ﻿"The Scott administration has launched an attack on our rural hospitals, who have been adversely effected by his decision not to expand Medicaid," said Senate District 26 Candidate Catherine Price, a former health care administrator, "and that is why I am running for the Florida Senate." "Florida Democrats continue to show healthcare is on the ballot in 2018," said FDP Chair Terrie Rizzo. "Our candidates are offering solutions to improve the healthcare system in Florida, while Republicans are focused on destroying it with no replacement. It's Democrats who are fighting to protect and improve Floridians health care and we will continue to show voters that."